I visit nurseries to train staff as part of my job; we aim to support the language development of all the children by improving the communication environment. I observe the staff and complete a check-list about the communication environment; it covers areas like adult-child interaction, the listening environment, snack time, and story time. I discuss my observations with the nursery manager and we decide what to focus on. 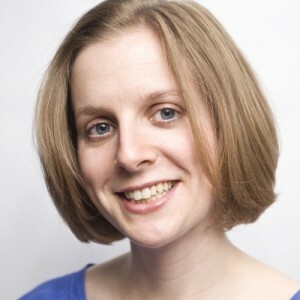 I’ve recently trained several practitioners in adult-child interaction, with varying degrees of success! make a brief video of the practitioner interacting with a child, and give feedback. I have used this package with five practitioners over the last month. Three of them responded really well: they asked thoughtful questions, reflected on their skills as they watched the video, and were able to adapt their interaction styles to become better communication partners. Result! What about the other two? Well, one was able to identify that she asked a lot of questions; with support she began to think about how she could use comments instead. However, at the end of the session she still seemed unaware that she was being directive. The other practitioner felt she was already using both strategies, but didn’t notice herself asking questions when we watched the video. Hmm. The Hanen programme describes three stages of learning: pre-aware, aware, and active. A pre-aware learner might be able to explain the strategies, but doesn’t realise that she’s not applying them. An aware learner knows the strategies and knows that she’s not yet applying them. An active learner has applied her knowledge and changed her behaviour. So the practitioner who thought she was using the strategies but didn’t notice that she asked questions was at the pre-aware stage of learning. I should try to move her on to the next stage: to increase her awareness of her own behaviour. The Hanen information suggests making tentative statements about what you see and then “letting the tape do the talking.” I’ll try it. Hanen suggests coaching as another way to support an adult’s learning process, by improving the specific interaction. You can do this while the camera is running, during a brief break in filming, or by demonstrating the strategy. So for the practitioner who was unaware of how directive she was, I could try some coaching: while the camera is running I could say something like, “don’t suggest what to play with: wait for him to show you what he wants to do.” Something else for me to try out. Reflecting on the feedback I gave, I think it started well, but could be improved. I asked what the practitioner thought about the interaction, and then offered a specific focus; for example, “let’s look at when you made comments.” So far so good. But then I told them my own observations, rather than asking for theirs! By asking rather than telling, I could provide a more active learning experience, to increase the chances of learning new skills. Looks like I’ve got lots to practise! Do you use video as a teaching tool? What techniques have you found work well with pre-aware learners? 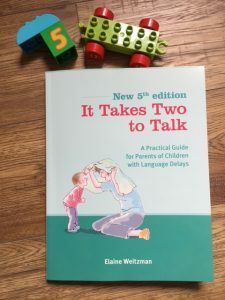 This entry was posted in Reflective practice and tagged adult-child interaction, coaching, early years staff, Elkan, Hanen, It Takes Two To Talk, stages of learning, training, video feedback on March 21, 2010 by Rhiannan Walton.